Great space saver for storing very small findings. Each tube measures approx. 4 inches tall and 3/8" diameter. Each tube comes with a hangable white cap. 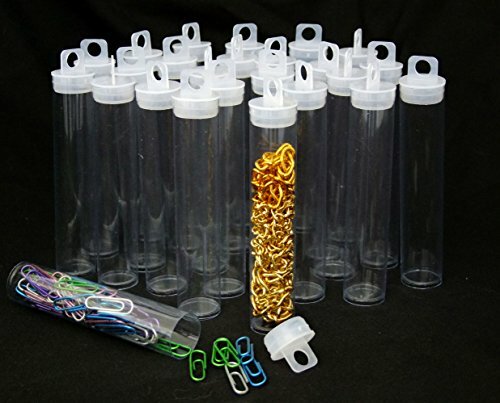 Package of 100 each tubes and caps. If you have any questions about this product by Beadsmith, contact us by completing and submitting the form below. If you are looking for a specif part number, please include it with your message.